Log is a file that eWay-CRM uses for recording the information about system behavior and stability. The file allows us to help you when you are experiencing some issues. Log never contains personal information and its content is only used for diagnostics and finding out the cause of the issue. The file is saved in the personal directory of the user in his or her Microsoft Window profile. Go to the Start menu and use Run. 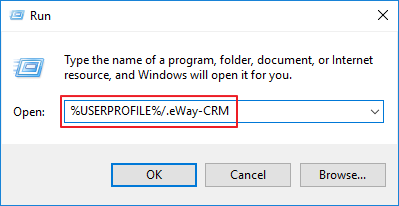 There you need to insert "%userprofile%/.eWay-CRM" (formerly "%appdata%/Memos/eWay") and confirm it by OK. The newer versions of Microsoft Windows allow you to insert the string right into the searching field. 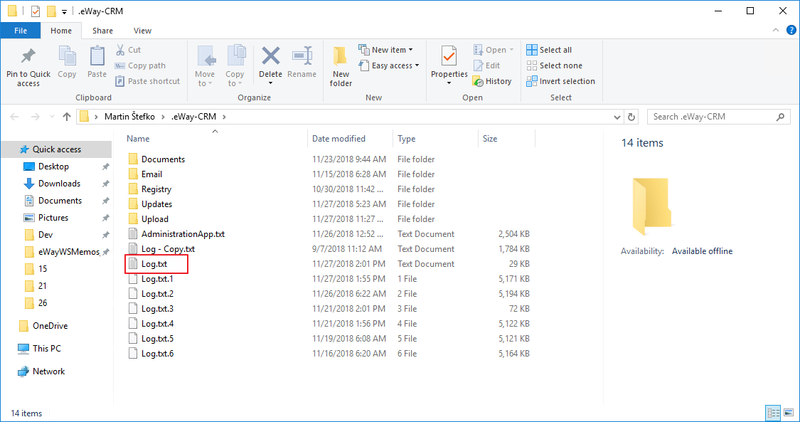 The folder will be opened in the File Explorer and you can see the Log file.